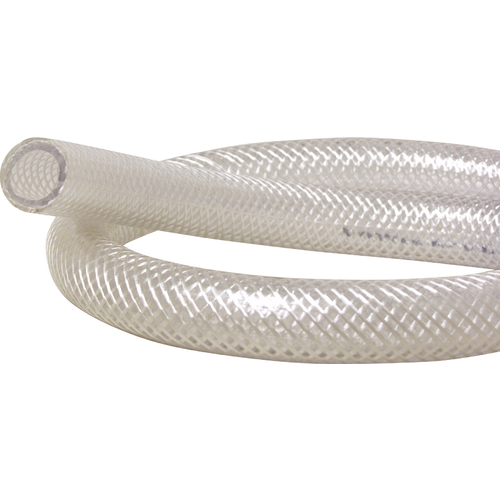 Reinforced, FDA approved, food grade tubing for use with our pumps. Reinforced Vinyl is rated up to 158 degrees F, and 200PSI. This type of tubing is particularly useful when putting backpressure on a system. Standard Vinyl tubing and Silicone are great for their own purposes, but are not designed to handle pressure, and can balloon up or even explode if too much pressure is used!